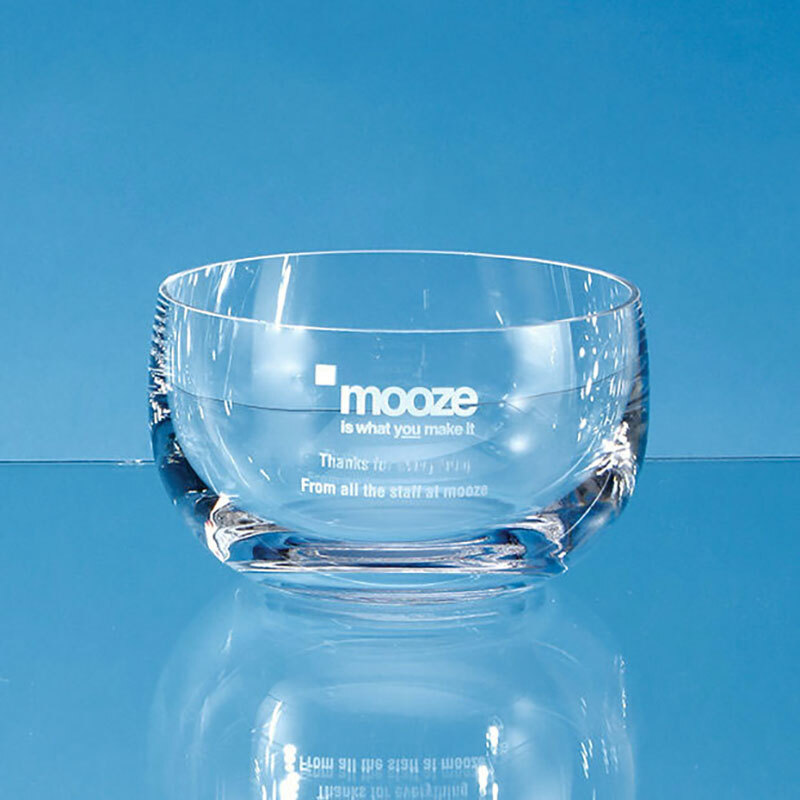 These 'Seról' dishes are made in clear glass with no decoration and flat rim, in a 'minimalist' design. They have a diameter of 130mm (5in) and stand 75mm (3in) tall. 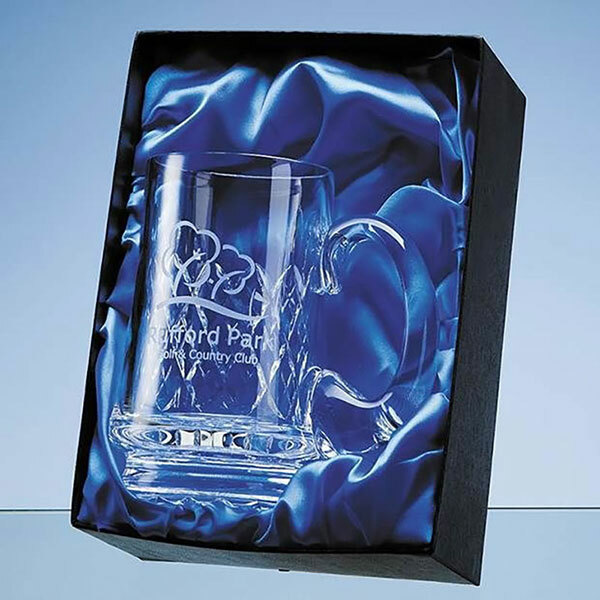 They offer a large area to be engraved and are offered here with text and/or logo engraving options. An optional deluxe presentation box is also available. Dimensions: Height 75mm / 3in; Diameter 130mm / 5in; Weight 435g / 1lb.